A rich look that's understated and elegant! 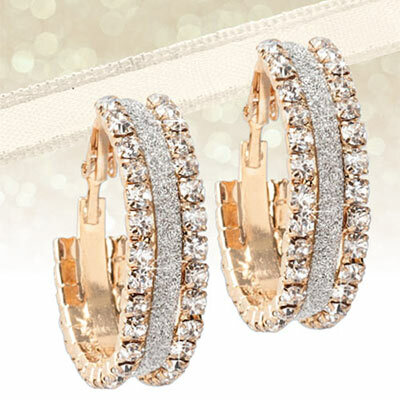 Rows of petite crystals set in gold-tone and silver-tone create wide, sparkling hoops. These Golden Crystal Earrings are must-haves for holiday dressing and giving. Post backs. 1¼"l.
This is my first purchase from Added Touch and I was so pleased by the earrings. They are beautiful and look very expensive although they are not. Good quality and great to wear to that special event! I will definetely be ordering more from Added Touch!